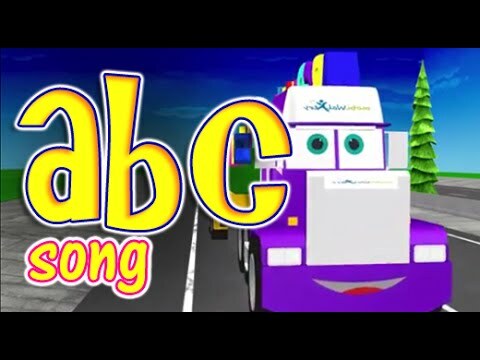 Alphabet Truck Songs For Kids, Children and Toddlers, Animated ABCD Nursery Rhymes, 3D Animated Songs for Children and Pre School Kids. The best way for kids to watch and learn the 26 alphabet of English. There are 26 alphabet in English, alphabet are used to form different words and sentences. There are small alphabet and capital alphabet, the small alphabet are a, b, c, d, e, f, g,h, i, j, k, l, m, n, o, p, q, r, s, t, u, v, w, x, y, z. We call them small Letters. and the capital alphabet are A, B, C, D, E, F, G, H, I, J, K, L, M, N, O, P, Q, R, S, T, U, V, W, X, Y, Z. We call them capital Letters. This video also helps the kids to learn and understand the alphabet.